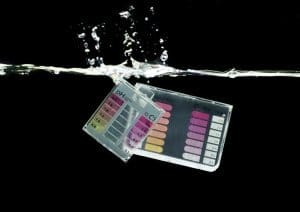 The LSI requires knowing the carbonate alkalinity of pool water...but most pool test kits just measure total alkalinity. What's the difference? Let's start with a quick recap of what alkalinity actually is. Total alkalinity is a measurement of dissolved alkaline substances in the water. Primarily, these are carbonates, bicarbonates, and hydroxides. Each of these types of alkaline products can be calculated through scientific formulas, assuming you know the pH of the water. In other words, if you test the total alkalinity of the water, and test the pH, you can then derive the carbonate alkalinity with a scientific formula. Notice the correction factor that Cyanuric Acid has. It "corrects" total alkalinity down to just carbonate alkalinity. Carbonates -- like calcium carbonate (CaCO3), or sodium carbonate (Na2CO3) "soda ash"
Bicarbonates -- like sodium bicarbonate (NaHCO3) "sodium bicarb"
Hydroxides -- like sodium hydroxide (NaOH) "caustic soda" or "lye"
That said, the pH of these products--while all alkaline--are not equal. In a 20,000 gallon backyard pool, for example, you can raise the alkalinity 10ppm with either 1.77 pounds of soda ash, or 2.8 pounds of sodium bicarb. Soda ash would be boosting the carbonate alkalinity, but not hydroxides or bicarbonates. The pH would be different two, since the substances have slightly different pH values. As you can see, it's easy to confuse pH and alkalinity. We're trying our best to make the distinction clear and understandable. Why does the LSI formula call for Carbonate alkalinity, not Total? The primary function of the LSI is to determine the water's saturation of minerals. If the water is under-saturated (low LSI) it will seek calcium anywhere it can find it. If it's over-saturated (high LSI), water will deposit calcium carbonate (scale). The most common form of calcium to be extracted from pool plaster is calcium hydroxide, (yes, another hydroxide which could contribute to total alkalinity), but it's usually soluble in its pure form. Various forms of calcium can harden: calcium phosphate, calcium sulphate, and of course, scale, calcium carbonate. Scale is the most prevalent of these substances in a pool, and carbonate alkalinity is the direct contributor to it. The pH scale. pH affects everything in a swimming pool, and can be buffered with alkaline products in the water. What's important here is not the math or the complex science behind all this. If you wanted to know all that, we encourage you to do the research on your own, and you can start here, here and here. The important thing is knowing what alkalinity is, and why it's important. It's primary function is to buffer the pH in the water; in other words, help water resist change in pH. Without the right amount of alkaline substances in the water, the pH will tend to fluctuate. Just ask any pool manager. Test kits measure Total Alkalinity, not Carbonate alkalinity. To find carbonate alkalinity, you must know the pH.  We have found so many problems go away when the pool chemistry is LSI balanced. The not only are etching and scale less likely to happen, but less chemicals are required to keep the pH balanced. Wouldn't it be great if you weren't constantly battling pH with acid and alkaline products like sodium bicarb or soda ash? How much less would you spend in pH adjusting chemicals if your LSI was balanced each and every week? We encourage you to try it and see how it works for you...you'll be glad you did. We are huge believers in preventative behavior; fits right into our program of more meaningful pool care. Pool professionals can anticipate most problems that can occur, but not all of them. When the mystery problems occur, we love working to diagnose what was going on. As baffling as the symptoms can be, it almost always boils down to a simple problem, with a simple solution. How much smoother could your pool business be if you could eliminate a majority of the common problems before they happen? If you want to, get your LSI balanced, and work from there. It may mean a change in your normal routine, but it can help stabilize results moving forward. 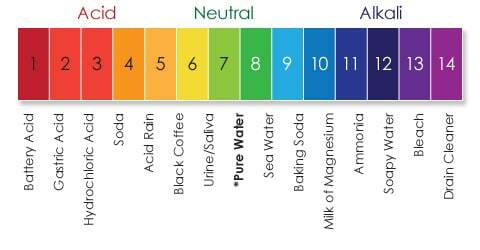 Unlike pH, which is a scale to measure on, total alkalinity is the amount of dissolved alkaline substances in water. It's measured in parts-per-million. 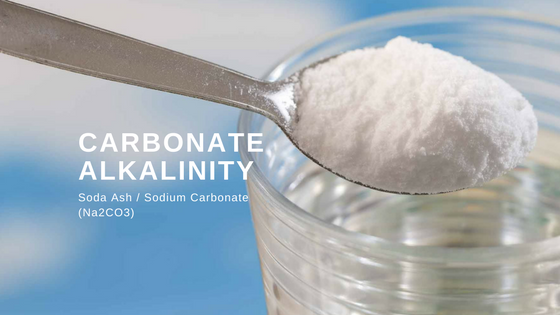 There are three types of alkaline products that make up Total alkalinity: carbonates, bicarbonates and hydroxides (examples listed above). To calculate the carbonate alkalinity, there is a formula, provided the pH is known. But no worries...the Orenda App dosing calculator has you covered. Our LSI calculator automatically factors in the formula to derive the carbonate alkalinity from the total, so you don't have to. Enjoy managing balanced water, because it's a whole lot easier than not.